When new insurance options were introduced through the Affordable Care Act (ACA) in 2013, the volume and types of television news stories and commercials about them varied greatly by location. Some counties saw high exposure to ads or news while others saw lower exposure. Now, a new study from the School of Public Health shows that the gains in health insurance enrollment were greatest in counties where more health insurance advertisements were aired on TV. 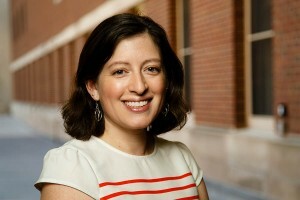 “Ours is the first study to link insurance changes following the implementation of the ACA with the efforts of federal, state, and non-profit sponsors to market their products,” says study co-author Associate Professor Sarah Gollust. The study was published in the journal Health Affairs. 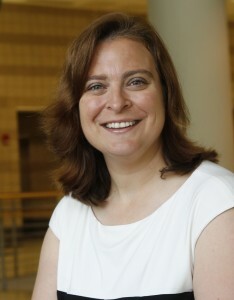 Associate Professor Pinar Karaca-Mandic is the lead author of the study, which was also co-authored by PhD student Andrew Wilcock and researchers with the Wesleyan Media Project, Cornell University, and Johns Hopkins Bloomberg School of Public Health. Previous analysis shows that more than 10 million people gained health insurance after the first ACA open enrollment period in 2013-2014, and to date, more than 20 million people have acquired coverage attributable to the ACA insurance marketplace and Medicaid expansions. “We show that advertisements sponsored by states were especially strongly related to insurance gains through higher uptake in Medicaid in those areas,” says Gollust. The study revealed that an increase of 1,000 state-sponsored insurance advertisements in a county was associated with a 0.23 percentage-point reduction in uninsurance. This means that roughly 2.5 people gained insurance for every state-sponsored advertisement aired during the first ACA open enrollment period. The researchers say the results are important news for policymakers and all nonprofit and private-sector advocates interested in promoting greater health insurance enrollment.